This online discography contains information on all of Christopher Hogwood's recordings that have been issued on LP, CD, VHS and DVD formats. It is ordered alphabetically by composer and can be navigated by using the A-Z links below. Select composers with many recordings have their own link at the top of the page and works may also be subdivided by category (e.g. Instrumental, Secular Vocal, Sacred Vocal, etc.). Records can be searched by composer, work, soloist, orchestra, instrument, or year of recording. Includes works by Carlo Verardi, Juan de Anchieta, Alonso de Mudarra, Tomas de Santa Maria, Antonio de Cabezon, Diego Ortiz and Anon. 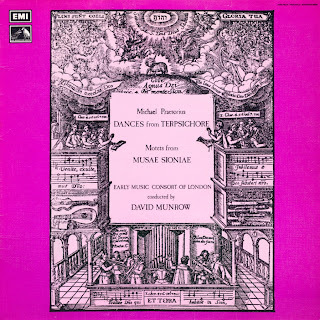 "Music for Ferdinand and Isabella of Spain"
Includes works by Francis Dieupart, Daniel Purcell, Nicola Matteis, Andrew Parcham, George Frideric Handel and Anon. Includes works by Marcabru, Guiot de Dijon, Walther von der Vogelweide, Le Châtelain de Coucy, Gaucelm Faidit, Conon de Béthune, Richard Coeur-de-Lion and Thibaut de Champagne. Includes works by Marcabru, Guiot de Dijon, Walther von der Vogelweide, Le Châtelain de Coucy, Gaucelm Faidit, Conon de Béthune, Richard Coeur-de-Lion, Thibaut de Champagne and Anon. French. Includes works by Carlo Verardi, Alonso de Mudarra, Tomas de Santa Maria, Antonio de Cabezon, Diego Ortiz and Anon. Includes works by Marcabru, Walther von der Vogelweide, Le Châtelain de Coucy, Gaucelm Faidit, Conon de Béthune, Richard Coeur-de-Lion, Thibaut de Champagne and Anon. French. ncludes works by Francis Dieupart, Daniel Purcell, Nicola Matteis, Andrew Parcham, George Frideric Handel and Anon. Includes works by Juan de Anchieta, Alonso de Mudarra, Tomas de Santa Maria, Antonio de Cabezon, Diego Ortiz and Anon. Includes works by Marcabru, Guiot de Dijon, Le Châtelain de Coucy, Gaucelm Faidit, Conon de Béthune, Richard Coeur-de-Lion, Thibaut de Champagne and Anon. French.